Students expecting to file Div III for May 2016 completion must pass Div II by Oct 2 and file Div III by Oct 8. If you missed the Div III Orientation or still have questions about how to get started, who to talk to, what Div III might look like, what is expected, etc., come talk with us. We are: Anne Downes, Senior Associate Dean of Advising, Laura Wenk, Dean of Curriculum and Assessment for the college, and Hannah Mazzarino, Assistant Director of Central Records. Of course there will be snacks. Do you feel self critical about your writing? Do you suffer a bit from perfectionism? Writing should be a way to get you to new ideas, but you can’t use it as a tool if you are constantly editing yourself or second guessing. Try developing a practice of free writing. 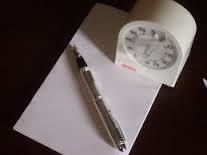 When you free write, you write continuously for a set period of time (say 7 minutes, or 10, or 15 minutes) without regard to spelling, grammar, or even to where you ideas wander. You just keep writing without stopping. If you free write about your current thinking, you might find that it gets you closer and closer to hitting on the ideas and concerns that will really drive you in your Div III work. The writing itself might not be something you use in the Div III, but it will be useful to your Div III. It will help you know where to bring your writing or your creative work. For a full list of program participants, check out the Smith College Fall Career Fair page. Meet over 100 companies and learn about their full-time career opportunities and internships. Employers will be conducting interviews in the weeks following the fair for their summer internships as well as their full time opportunities. It is suggested that you dress as if you are already working at one of these organizations! See the full list of employer participants as well the areas of study/majors they are interested in and positions they are recruiting for. We hope you are not confused. If you are filing Div III for spring 2016 pass, use the draft contract on the Div III tab to craft your ideas and select your committee. The committee request form is NOT for you. It is for students filing in February for December 2016 pass. Five nights of writing help in the library begins this week! Emma Binder and Andrew Byler, alumni fellows, are available for help at all stages of your writing process. Come by their office on the 2nd floor of the library, Sundays 1-9 PM and Monday through Thursday 6-10 PM. No appointment necessary, though they’ll keep your appointment if you make one. Welcome to Div III at Hampshire!!! and more! You can also use this site to find resources and important dates and reminders. We hope it is helpful. So visit regularly – there will even be weekly give-aways to motivate you to visit the site. Just answer the weekly question posted each Friday to enter. Div III is probably different that anything you have done before, but you have been developing the skills to do a Division III during your last few years at Hampshire.